Tux being part of their licensed box design, forthcoming CrossFire support, and other major features coming are major wins for the Linux community. For those concerned that AMD is attempting to build back up its binary blockade, don’t worry as their open-source strategy will continue with the RV770. Free and open source software has come a long way toward widespread acceptance over the years, and that can be attributed in no small part to the strength and dedication of the community behind it. I know that isn’t near enough to express my gratitude for the gifts you’ve given this community. There are three of you who know just how generous I can be, but that was a one-time shot and as much as I’d like to match that gesture time and time again…well, we’ll see some day. “To get networking we plugged in a daughter board, and another board for the console, so we ended up with a stack of boards. The Gumstix board is an ARM processor running an Open Embedded Linux distribution,” Judge told Computerworld. Releases : Zenwalk Live 5.2 is ready! Zenwalk Live 5.2, the latest Zenwalk in its Live CD format is ready! One of the hallmark Linux distributions for new users that we’ve been very pleased with has been Linux Mint. As I’ve said before, it’s built on Ubuntu and is essentially “Ubuntu done right”. With the introduction of version 5, Linux Mint has upped its previous level of perfection (as though they had far to go) and created an even better distribution than before. DSL 4.4 was just released on June 9th, so this past weekend I installed it on my Compaq Deskpro Pentium III 800 Mhz machine. It only has 256 megs of RAM, so a lightweight distribution like DSL is a good choice for it. Their site claims you can run DSL 486 DX with 16 megs of RAM, so even this old Compaq should fly with what it’s got. I think that over the years, Konqueror almost became synonymous with KDE. Even though there are alternative web browsers, file managers, good image viewers like Gwenview or PDF viewers like KPDF, Konqueror is still one of the most popular and most used application on the KDE desktop. Specifically I asked what role does open source play at Verizon now, especially in light of the recent SFLC lawsuit against Verizon on GPL infringement. Strigl looked at me with a blank face and asked me to repeat my question. He was completely clueless. Development for Utah is based on Linux. This year the gendarmerie announced plans to migrate up to 70,00 workstations to Ubuntu running Firefox and OpenOffice.org, while Ubuntu was also chosen for adoption by French MPs as part of the migration of the National Assembly from Windows to Linux. Open source has also been adopted by local authorities including Arles, Grand Nancy, Lille, Val d’Oise, Marseille, Brest, Grenoble, Lyon, Rennes, and Marseille again. Complete disengagement from Novell the better option for OpenSUSE? Since the takeover by Novell and the subsequent patent covenant that Novell entered into with Microsoft, it’s been a bit of a rough community ride for Novell’s free and open source distribution. Although OpenSUSE itself is now well established, it’s having to play catch up with Fedora which split from Red Hat Linux almost five years ago (before Novell even announced the SUSE acquisition). Yet OpenSUSE often gets a bad wrap. There’s that whole Novell/Microsoft/the world is ending conspiracy thing going on, for one thing. Certainly when Novell bought SuSE, it was disturbing. What were Novell’s intentions? Where were things going to go from this point? Was openSUSE going to suffer for it? To use his own words, Miguel de Icaza has just gone to hang out at Microsoft. 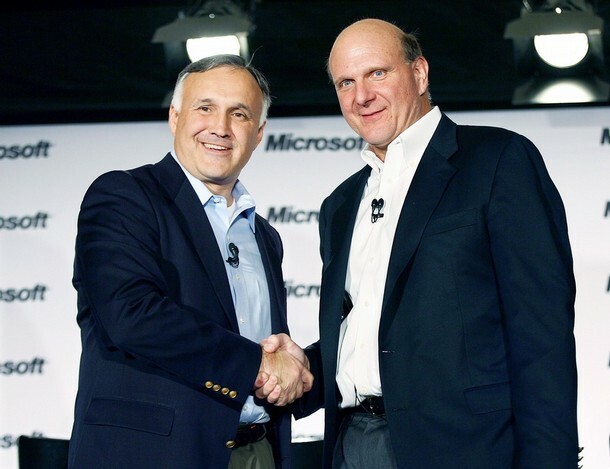 Yes, that’s how close Novell’s executives are to Microsoft. But that’s totally besides the point that he’s actively assisting adoption of Microsoft Silverlight, which is a huge threat to the openness of the World Wide Web and also to viability of Free software desktops (unlike Flash). “As the FOSS world probably knows by now, Moonlight is a semi-cooked catch-up work.”Just over a week ago we showed how Microsoft was ruining good football and also the Olympic games. We wrongly thought it was a matter of paying 'Microsoft tax'. This had happened just before it was confirmed that Moonlight may indeed be a poison pill. It’s part of a broader issue introduced by Novell. On the face of it, however, it’s no longer just a legal matter but perhaps also one of feasibility because the Summer Olympics will require the very bleeding edge of Microsoft Silverlight. As the FOSS world probably knows by now, Moonlight is a semi-cooked catch-up work. Microsoft wouldn’t port Silverlight to GNU/Linux. NBC’s player is based on the latest beta version of Silverlight, which the Democratic National Convention will also use to distribute video in August. Silverlight 2.0 is due out in the fall. It sounds as though not only will GNU/Linux users be left out in the cold. Novell’s paying customers (with ‘licensed’ Moonlight) will possibly be left out as well. This was supposed to be a huge international event (recurring just once in four year), but Microsoft and its former partner (MS)NBC received exclusivity. We apologise in advance for being a tad repetitive, but we continue to discover some little nuggets of information which are worth exploring in another post that touches on this subject. We wrote about OpenLogic a few times so far this week . We discovered also the history of the man who runs this one particular company . “IDC is another warning sign.”At the moment, they only track over 1,000 People (largely GNU/Linux users), but they use the black art of statistics to over-inflate these figures and share numbers at the scale of hundreds of thousands. That’s a bad sign. It’s like “Microsoft statistics” (recall the market share lie), which are about dishonesty at best and gaming (mischievous intervention) at worst. The Census, started in April by OpenLogic with help from IDC and other sponsors, relies on anonymous scans of computers to count open source installations with software called OSS Discovery. Mind the inclusion of IDC in there. It is another renowned motor — with extensive history by all means –of pro-Microsoft propaganda [1, 2, 3]. IDC is another warning sign. OpenLogic is not our sole concern. Consider another former Microsoft employee, whose business runs and develops proprietary software. He wants to tell us all about GPLv3 with this new press release. Remember that Black Duck is a proprietary software company in every sense of the word. I wrote about this a long time ago. One day ago we wrote about ways in which Microsoft seems to be discouraging the use of ODF. It’s a must-read for background. We promised some screenshots and we finally have them thanks to Eruaran. Here is the portion of the IRC discussion which explains what you see at the bottom. <schestowitz> “the file is corrupt,” eh? The last time I checked it’s Microsoft that corrupted Swedish folks for OOXML. <Eruaran> “Microsoft Office cannot open this file because some parts are missing or invalid” ~translation~ “Microsoft Office could open this file but wont because some parts are missing (you know, those binary blobs that keep you dependant upon us), so we’ve decided your choice of file formats is invalid”. Of much more interest, as I alluded to in a recent article is the penetration of Linux into this arena. Depending upon how you count the numbers provided by TOP500, between 85% and 89% of the Supercomputers are running some version of Linux. “The training is not to counterfeit Microsoft. There are customers who always insist on free operating system and software. In that case we recommend dealers to install Linux, if the customer is not ready to buy licensed software,” explains K Babu, General Secretary, TITA. In AMD’s usual fashion, this afternoon they have announced the release of new display drivers for both Linux and Windows. The Catalyst 8.6 release for Linux introduces a few bug fixes, version 2.0 of their driver installation API, and a few unannounced features are present. Intel could give its Classmate PC a user interface similar to One Laptop Per Child’s XO laptop, with the chip maker preparing a version of the Sugar UI found on OLPC’s laptops for its educational laptop. LynuxWorks announced that its Linux distribution has been adopted by a new high-speed industrial camera system from Accu-Sort Systems. The AccuVision 6010 Long-Range Camera System (AV-6010) runs on two paired distros from LynuxWorks: BlueCat Linux and the LynxOS real-time operating system (RTOS). The fate of Fennec Fox, the code-name for Mozilla’s mobile browser, is tied closely to that of the Android and LiMo phones now under development. Think big telecom carriers don’t use open source? Think again. This includes even MSN/Live where the losses are even more pronounced when you fold in the decline in Club Live generated queries.